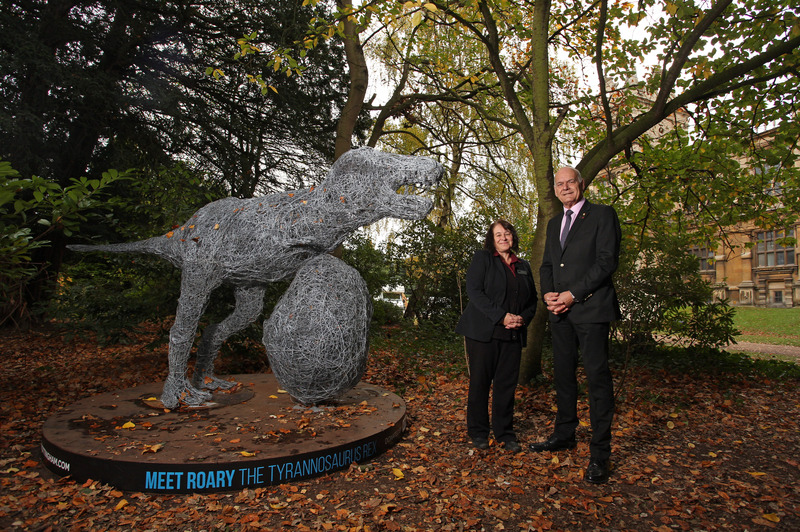 A large Tyrannosaurus-Rex sculpture made from galvanised steel is taking pride of place at Wollaton Park after being donated by the Nottingham BID. The frightful fiend was used as part of a city centre trail around Nottingham this summer but has now been moved to its forever home in the formal gardens at Wollaton Hall and Deer Park. The Dinosaur City Centre Trail was organised by It’s in Nottingham from June to September of this year – with three large dinosaur statues dotted across the city. Roary, the Tyrannosaurus Rex, was situated on Lister Gate, near intu Broadmarsh Centre, but earlier this month was transported via lorry to the popular tourist attraction in Wollaton. 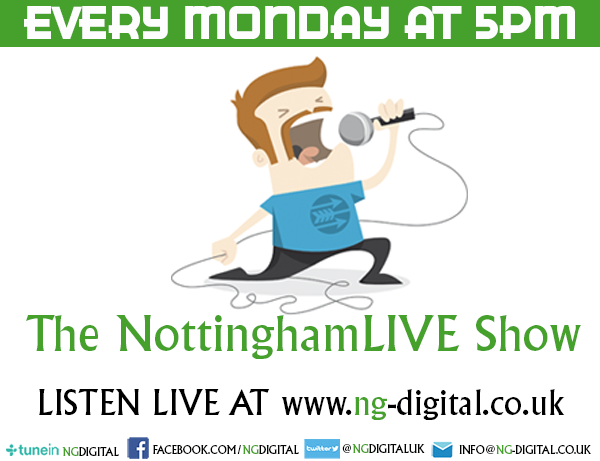 He was given his name by six-year-old Daniel Huett, a pupil at Fernwood Primary and Nursery School, located in Arleston Drive, Wollaton, Nottingham. The young students at the school were tasked with naming two of the three dinosaur sculptures – with Daniel, from Wollaton, taking the winning prize with the name Roary for the T-Rex. The sculpture is made out of galvanised steel wire and was designed and created by artist Emma Stothard, who hosted a stand at this year’s RHS Chelsea Flower Show. The fellow two dinosaurs were loaned by Emma for the project and included a Pterodactyl named Squawkers, and a Plesiosaurus named Ayupmeduckosaurus. They have both now returned to their original home in Whitby. 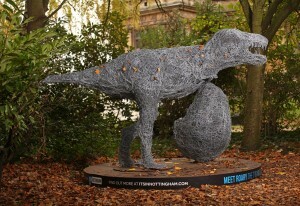 The It’s in Nottingham Dinosaur City Centre Trail made up this year’s Urban Intervention scheme from the Nottingham Business Improvement District (BID), the organisation behind It’s in Nottingham. These initiatives are organised every year with the aim of attracting visitors to the city centre, enhancing the area and supporting surrounding businesses. The theme of dinosaurs was chosen to tie in with the Dinosaurs of China exhibition, which was held at Wollaton Hall and Lakeside Arts Centre in Nottingham this summer. For visitors wanting to catch a glimpse of Roary the Tyrannosaurus Rex at Wollaton Park, he is now situated in the formal gardens to the left of the hall.